The engine is a single cylinder machine with the bobbin style steering which the firm used on their engines up until the 1890's. A big engine as they tended to be in those days, at least 15 tons I would have said from the size of the engine relative to the men. 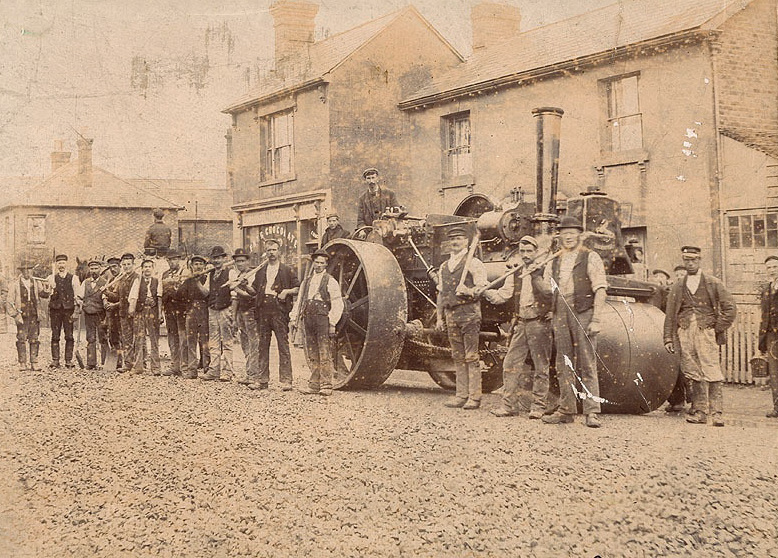 The engine is photographed outside the confectioners and tobacconist shop of Mrs Ellen Simmonds, 168 London Road, East Grinstead in 1905. The buildings in the photograph have now been demolished and replaced with the Jehovah Witness's Kingdom Hall. The YOWhatsApp Apk to Download Latest version on Android, the user might have used all those popular apps and it is available on google play. WhatsApp is quite impressing, YOwhatsapp latest version but some of its features are limited to a basic level. What is this that we are all working on ? I think that for working on this, then we will have to visit samedaypapers.com and do something about it. Only then we can get a lot of things. Whatever is going here, it will be something new to us and we will know about it from professional assignment writers. I can talk to so many people about it and it will be great for all of us.